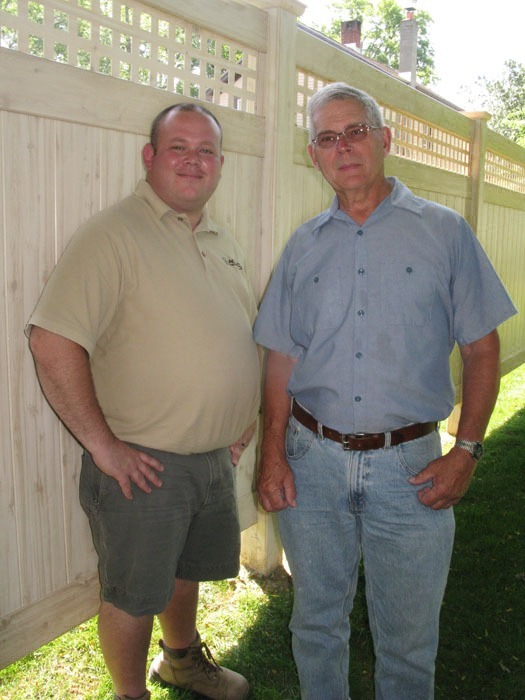 When the time came for a new fence, David knew exactly where to go – to the same trusted firm that installed the previous fence – Adams Fences. 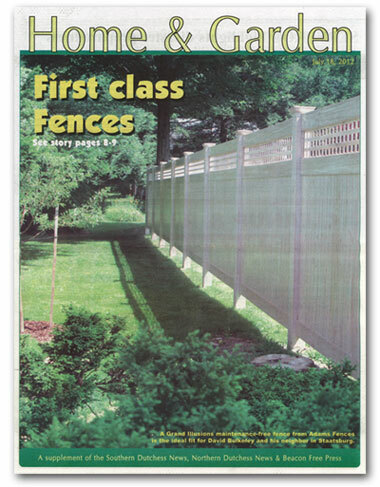 The former nursery manager at Cary Arboretum (now Cary Institute of Ecosystem Studies) had gone to Adams Fences four years ago to have an open type wood fence installed. That project went very well. 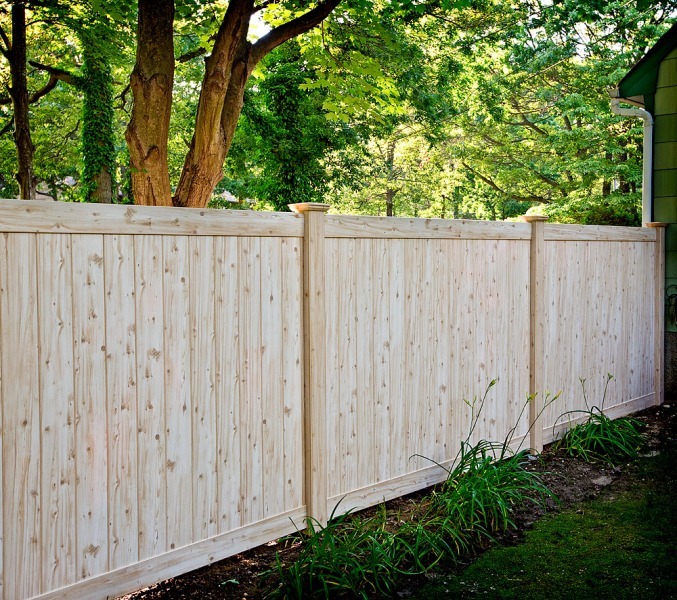 So, when David consulted his neighbor decided to look into a new fence, he went right back to Adams. This time he contacted Project Estimator Joshua M. Lehrer, who came out to the property and gave David a variety of choices. 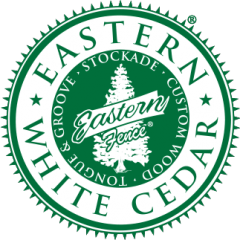 He chose a maintenance-free Grand Illusions Vinyl Woodbond Series, Eastern White Cedar. 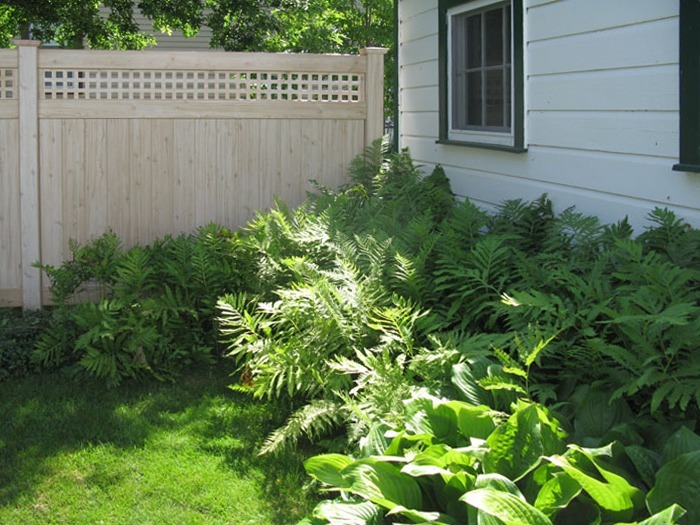 He added that the fence is very “aesthetically pleasing.” It matches the color of his neighbor’s house and coordinates well with his house and garage, which are white with green shutters. 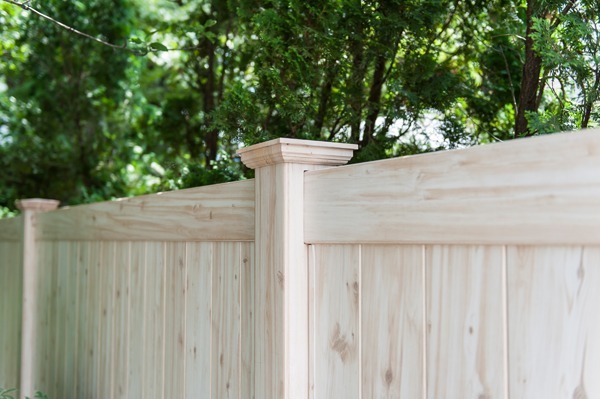 Josh described the fence: a 6-foot tongue and groove privacy fence with square lattice toppers on 5-inch x 5-inch posts with New England style post caps. 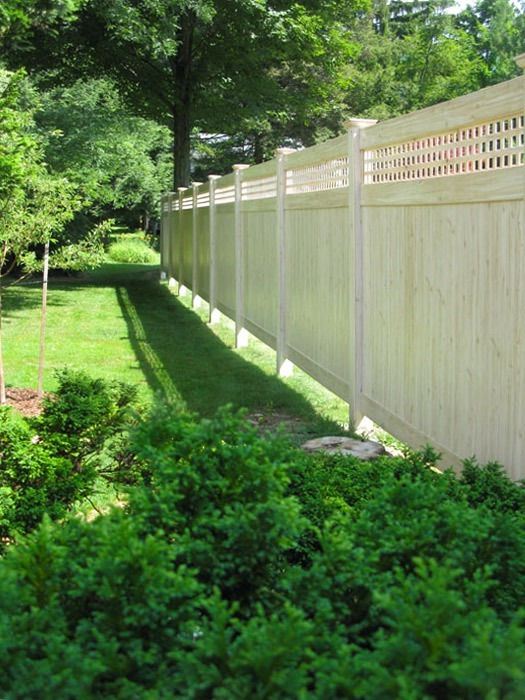 Every section includes a metal reinforcement channel in the bottom rail to create a stronger and longer lasting fence. They come in a wide variety of colors and styles. Josh said the project was completed in less than a day. 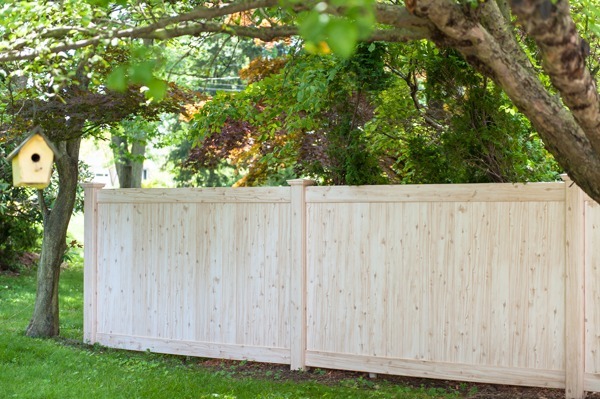 The fence is 88 feet and included 11 sections. The first part of the job is to remove the old fence. “Once that was accomplished, we ran a string line to gain exact measurements,” said Josh. “This was a ‘build as you go’ project so we dug the post holes ahead and put them in with concrete footings then attached the sections. He added, “It really looks so much like natural wood, people want to know what color to paint it.” In addition, it is strong and durable and will stay that way for many years to come. 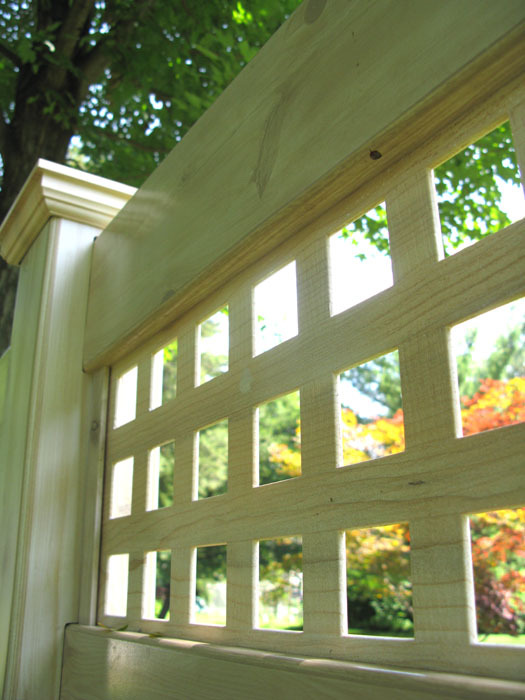 Adams Fences offers a tremendous variety of fences, all backed by the “Adams” name. 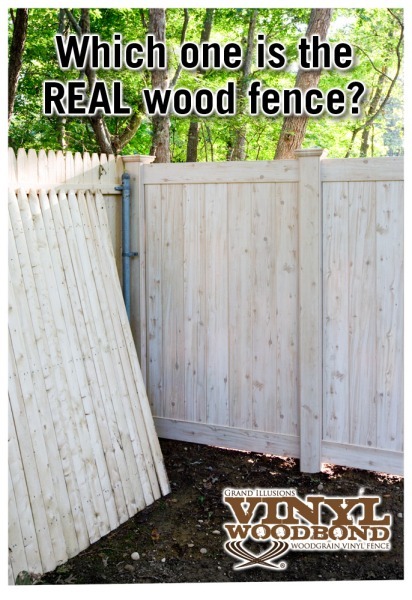 Imagine the convenience of a picket, private or semi-private fence that doesn’t decay and never needs painting. 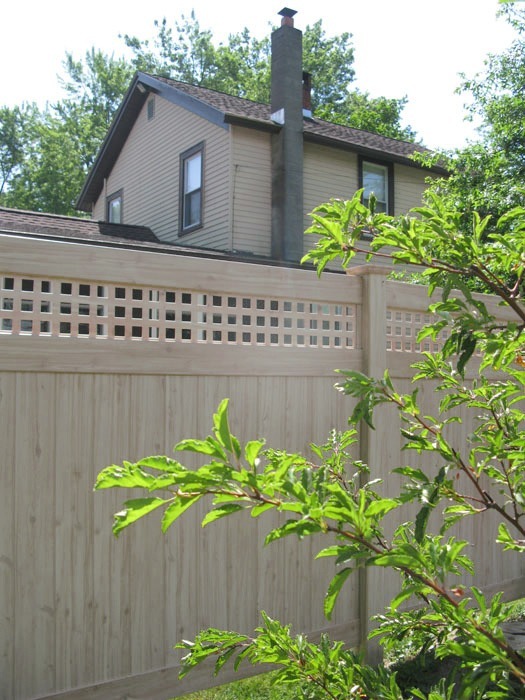 Traditional or ornamental styles of Illusions Vinyl Fence are made with top-grade materials and that means you’ll be enjoying your fence for years to come.